Wondering what Microsoft's Office 2010 Web applications will be like, and how they'll stack up against online competitors like Google Docs? Well, you don't have to wait any longer, because anyone can access a technical preview of Microsoft's Office Web apps right now. Microsoft has been offering a limited technical preview since the late fall, and then in March Microsoft quietly opened up the preview so that anyone can try out the new Web apps. 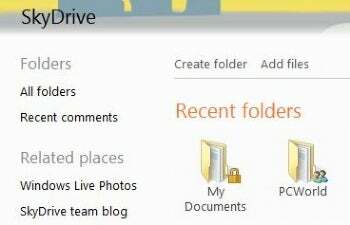 All you need is a Windows Live account, a Web browser, and an Office file to upload to Windows Live SkyDrive, Microsoft's 25GB free online storage space. The first thing you'll need is a Windows Live account. If you don't have one you can sign up at home.live.com (new users are not excluded from the Office Web apps preview). 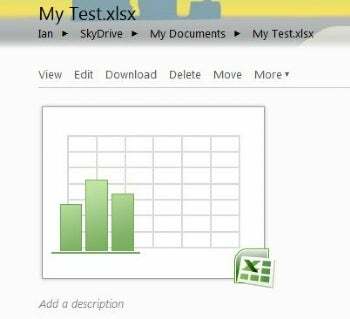 Once you're signed into Windows Live, click on the "More" drop-down menu at the top of the page and select SkyDrive. Next, upload an Excel or PowerPoint document (don't add a Word document; I'll explain why later) to SkyDrive by clicking on Add Files and following the on-screen instructions (see the image above). After you've uploaded your file, you will see a set of document icons in your SkyDrive folder. Above the document icons you should see a small invitation asking you to "Join our preview program to create, edit, view and share Office documents online." Clicking on "Join our preview program" will take you to an end user agreement authorization page. Just click "Agree" and you'll be able to access Microsoft's Web apps. (click on the image at left to enlarge it and see what the invitation looks like). If you don't see the invitation to join the program, try clicking on one of your documents. That will take you to another page where you will see a large document icon, with a set of links above it (see image below). If "Edit" is one of your options, click on the link and that will trigger the Microsoft Web app for the specified file type. Although you can upload non-Microsoft text formats to SkyDrive such as Rich Text Format and plain text, only ".doc" and ".docx" Word formats are viewable in the Microsoft Word Web app right now. If you're looking for a way to remotely collaborate and edit Word documents, try out Microsoft's Windows Live Workspaces until Word's online app is fully functional. The Excel Web app interface isn't as full-featured as the desktop version, and it also hasn't changed much since PCWorld's first look at the Excel Web app in September. One important to note is that Excel formulas like SUM and AVERAGE are hidden. To trigger the formulas, enter "=" into a cell, not the formula bar, followed by a letter. This will trigger a drop down menu below the cell that you can scroll through to find the formula you're looking for. Again, the PowerPoint Web app appears to be pretty close to what we saw in the fall, so check out Tony Bradley's "Microsoft Office 2010: A First Look at PowerPoint Web App" for a rundown of what this new Web app can do. Microsoft's new Web apps offer some nice -- if basic -- features, but they are well worth trying out right now if you want a taste of what Microsoft's online challenge to Google Docs will be like. Find out more about Office Web apps on Microsoft's Web Apps Preview site.